If you are paying child support or spousal support, also known as alimony, but are going through a change in circumstances, you can petition the court for a modification of your divorce decree. Although laws and guidelines vary from one state to the next, all specify valid grounds for modification, including the loss of a job, illness or disability, remarriage of the custodial parent, or a change in the financial circumstances of you, your former spouse or your children. In most cases, you must file a petition or motion for modification in the court that has jurisdiction over your divorce decree, i.e. the court that originally handled your divorce action. In the case of child support, either the custodial or noncustodial parent can file the petition. It is not necessary to have an attorney assist you in drawing up or filing the motion, but legal representation may be helpful if you need to argue the grounds for modification or if the motion is contested by your former spouse. A change in circumstances is not always sufficient grounds for modifying a support order. If you are paying the support, you must provide compelling evidence that you will be unable to meet the obligation for an indefinite period of time. If you are receiving the support, you must prove that changed circumstances in your own household justify the modification. In the case of child support, some states go strictly by their support guidelines; Vermont, for example, allows modification if a revised calculation using these guidelines results in a difference of at least 10 percent in the amount of child support that should be paid. Alternately, you may show that providing the originally ordered support amount is detrimental to the interests of another person, such as a child whom you now must support in your own household. Some states also allow modification when the custodial parent undergoes an improvement in her circumstances, such as a remarriage that substantially improves her financial condition. Along with the motion, you will likely have to file a new calculation according to the support guidelines in your state. In most states, this comes in the form of a worksheet that you can download from an official court website (state attorney general offices also may provide this online). You can also obtain a worksheet in hard copy form from the court clerk; some states offer an online calculator to assist in this process. You will need a large set of data, including current income, health insurance costs, medical costs, household expenses, debts, education costs, and other financial factors of both households. Along with the worksheet, you must file supporting evidence, which may include W-2s, tax returns, documentation of unemployment or disability benefits, or any other document that will help your claim that the support amount should be changed. As petitioner, you must have the motion, guidelines and any supporting documents served on the other party, known as the respondent. This can be done through a private process server or through a law enforcement agency, such as a county sheriff's department. There is a deadline for service after the motion is filed – in most jurisdictions, this is 20 or 30 days. If you are unable to have the papers served, you must file for an extension of time to do so. Once service has been effected, you must file proof of service with the court showing you have carried out this important step. The respondent has the right to file an answer within the statutory deadline – again, usually 20 or 30 days. Both spouses must attend a public hearing on the motion, during which a judge will review the documents and decide on the motion. If you no longer live within the jurisdiction of the court, you may (in some cases) petition to appear by telephone. If the respondent contests the motion, the judge will hear both sides and pose questions, if necessary, to determine the proper outcome. The motion may be approved or denied; a judge may also use his discretion in modifying the support order by a compromise. Until the court adjudicates the motion, the prior support order remains in effect and any arrearages continue to accrue. SouthDakota Department of Social Services: How Do I Modify My Support Order? You may file for modification of child support anytime a change in circumstances, as defined by Alabama law, has occurred. In most cases, a change in either parent's income of more than 10 percent qualifies. 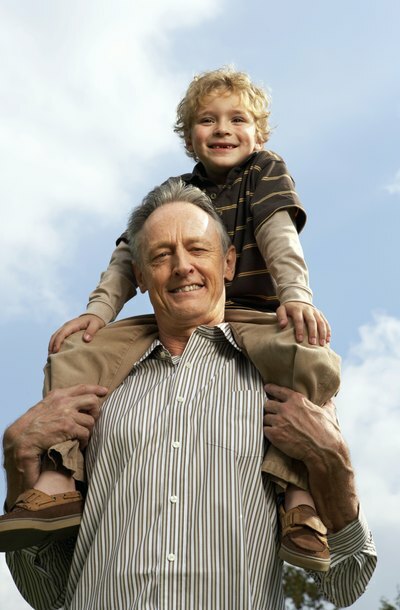 Paying extraordinary expenses, such as special medical care for the child, may also merit a change in support. You can file a petition for modification in the circuit court of the Alabama county where the custodial parent lives or in the county that issued the original support order. If you are ordered to make child support payments in Florida but you're having trouble meeting your obligation, you can seek an order to have your payments lowered. If you are receiving child support payments but your expenses have increased, you may seek an order to receive increased payments. However, you must file the proper paperwork and follow the required procedures. You may complete the required forms on your own, use an online legal document provider or consult with an attorney. If your ex-spouse has filed a motion with the court to modify alimony and you disagree, you must file an answer to the summons you received. If you do not respond, the court will issue a default judgment in your ex-spouse's favor and she will get what she wants. How to answer a summons will depend on where you live and what the summons says.